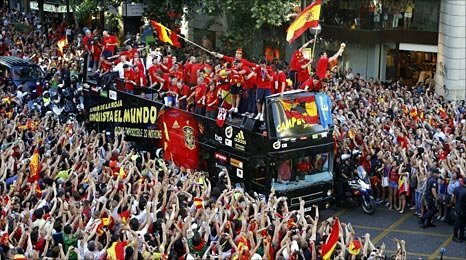 Spain's victorious World Cup squad return to Madrid amid scenes of joyous celebration in the capital city. Can Egypt, Russia and China qualify for finals in Brazil? A million people turn out to celebrate Spain's World Cup winning heroes as the team parades through Madrid. How has a country this big never been to a World Cup?